Move over Europa, there’s another moon out to claim the title of first place we’ll discover extraterrestrial life. 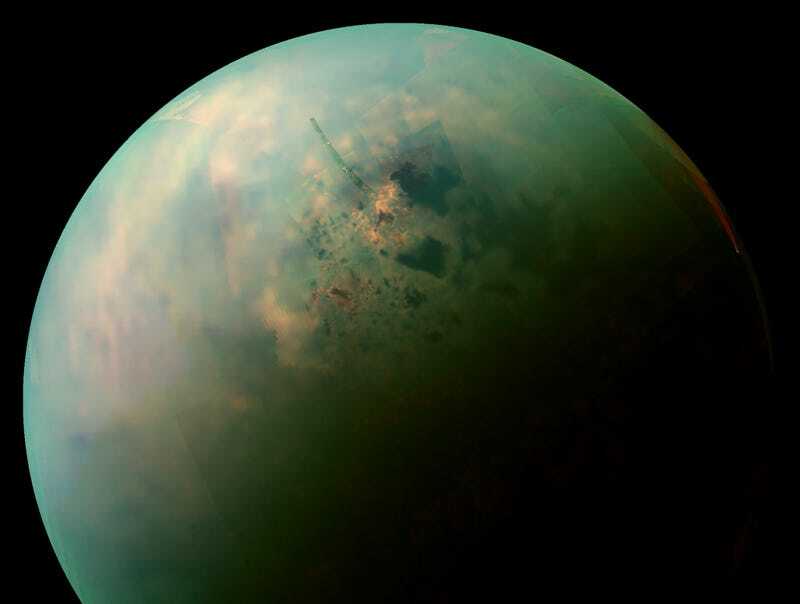 New research from Cornell University finds that alien microbes could, just maybe, eke it out on Saturn’s largest moon, Titan. But these critters wouldn’t be like anything we’ve ever seen before—not even close. That’s because Titan, awash in oceans of liquid methane and a blistering minus 290 degrees Fahrenheit at its surface, is a hellish wasteland by Earth standards. And yet, as demonstrated in a new paper, Titan may harbor methane based, oxygen-free cells capable of doing everything life on Earth does. The azotosome is made from nitrogen, carbon and hydrogen molecules known to exist in the cryogenic seas of Titan, but shows the same stability and flexibility that Earth’s analogous liposome does. This came as a surprise to chemists like Clancy and Stevenson, who had never thought about the mechanics of cell stability before; they usually study semiconductors, not cells...Excited by the initial proof of concept, Clancy said the next step is to try and demonstrate how these cells would behave in the methane environment – what might be the analogue to reproduction and metabolism in oxygen-free, methane-based cells. For daily science geekery, follow Maddie Stone on Twitter.